Welcome to the law firm of Joseph K Scott III, Attorney at Law. For the last 12 years, Mr. Scott has offered personal consultation and representation to all of his clients requiring legal counsel in the areas of criminal, family and juvenile law. Many citizens who find themselves caught up in the legal system are unaware of their basic rights and unsure of where to turn to for help. Dealing with the courts can be a confusing and overwhelming process. With Joseph K Scott, III, acting as your attorney, you will always receive a robust and vigorous defense. In any legal situation, it is vitally important to find an attorney who is familiar with current and evolving laws but also understands the emotional depth and impact of the circumstances. Mr. Scott can help you navigate the courts, protect your interests and resolve your case with professionalism and justice. Mr. Scott is located in Baton Rouge, Louisiana and is admitted to all State and Federal courts in Louisiana, as well as the Fifth Circuit Court of Appeals. 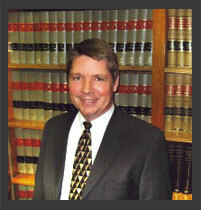 Also a teacher and guest speaker, Mr. Scott has written for the Baton Rouge Bar Journal and Louisiana State Bar Journal. He believes in personal representation of each and every client and will treat your case with the utmost care and professionalism that it deserves. Contact his office today to discuss your legal needs.